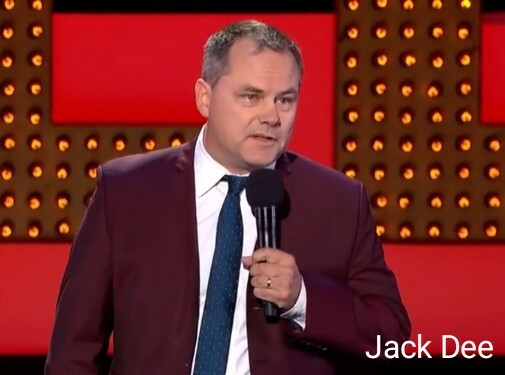 Jack Dee Quotes – 9 Funny Jokes & Videos! Jack Dee is a veteran of British comedy. Here we celebrate this great stand-up performer with a collection of brilliant jokes he’s told. Jack’s always been well-known for his sardonic, deadpan style of humor. He’s released several highly rated DVDs including; “Live Again,” “London Palladium,” and a box set of performances which is an easy to way to get all of his material easy. Let’s stop the rambling and get into the good stuff. You’ve got to love Jack Dee’s sense of humour and live performance ability, he’s always good for a laugh! Let’s also enjoy some clips of the man in action. Here’s one from years ago when he was a lot younger. For full live performances you can still buy his DVDs to add to your collection. They may also be available on the streaming service you use. If you think there are more quotes that should be on this page you can get involved and add them using the comments section. Thanks for enjoying this collection. Here are other stand-ups you may like. Billy Connolly Quotes - Top Jokes! Classic one-line jokes that are easy to memorise! Fat Kid Funny Pic – Look at his cute chubby face! Page updated; now with videos and info about his DVDs, enjoy the funnies!